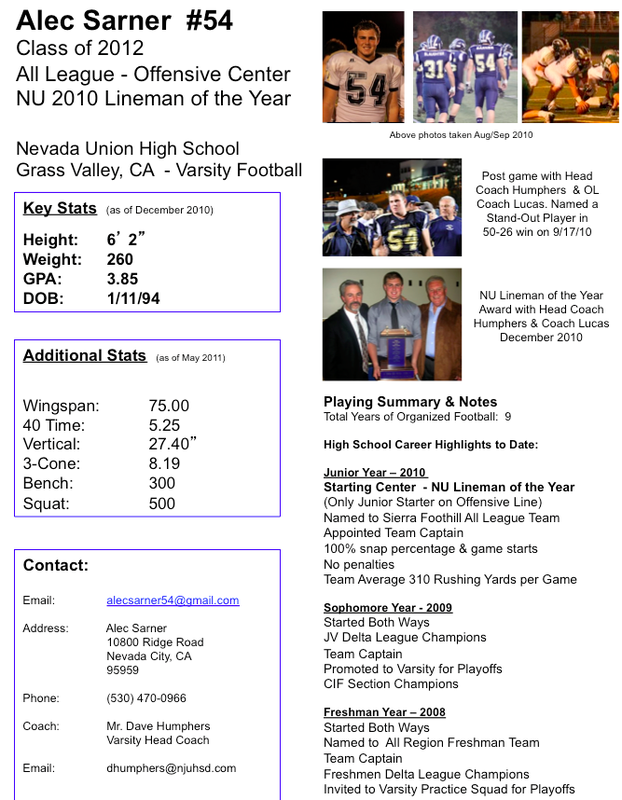 Here are my stats as of June 2011, as well as contact information. Recruiters are welcome to call my coaches – including Coach John Keith – Offensive Coordinator at (530) 478-9099 or O- Line Coach – Coach Racyer Lucas – at (530) 889-9504. Call me at (530) 470-0966 or email me at alecsarner54@gmail.com. I look forward to hearing from you!